No DIY’ers workshop is complete without a miter saw. Used for accurate and quick crosscuts into wood or aluminum at the desired angle, it is a definite must have for your home workshop. 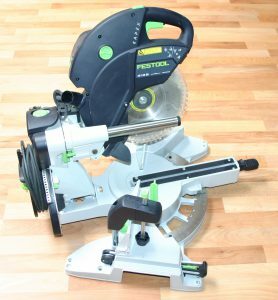 With blade sizes ranging from 7 – 12 inches, single or double bevel, compound angles and sliding function, there is a lot to consider when buying a miter saw. A miter saw is an essentially a circular saw mounted on a spring-loaded hinge with the blade cutting away from the operator. 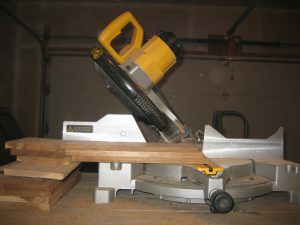 This saw is mounted over a turntable that can be set at a desired angle to produce accurate, angled crosscuts. At the back of the turntable is a fence that is positioned at a 90° angle to the blade when the turntable is in its center position. Also note that the turntable and blade are fixed together and when changing the angle of the turntable, the blade will turn with it. To produce angled cuts the turntable would be turned while the fence remains stationary producing the desired angle, (miter saws can normally set from 0-45°). 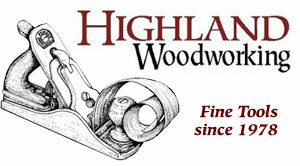 Generally, on most miter saws, a laser will indicate on the wood where the blade will cut the workpiece. When using a miter saw you would set your desired angle, and place your workpiece parallel against the fence, using the laser to line up your cut. The blade, being in its upper position, is activated with a trigger so you would have to be holding on to the handle to use the tool. (This being a safety feature so when the operator lets go of the saw for whatever reason, power to the blade’s drive motor will be cut). On most modern miter saws a second lever would be actuated with the thumb releasing the blade’s guard-lock and allowing the operator to apply a downward force to the blade, pushing it down to its lower position into the workpiece and so producing the cut. The mechanism that allows the blade to move from its upper position to its cutting position is spring-loaded, removing the downward pressure will allow the blade to return to its upper position naturally. In addition to being able to set the angle of your crosscut (on your turntable), the saw blade can also pivot left to allow a angled cut. 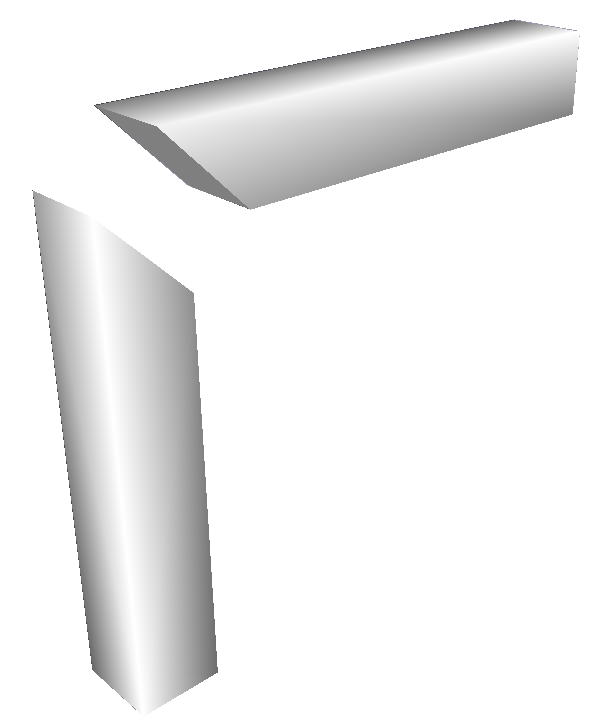 Where a double bevel, in addition to being able to tilt left, the blade can also be tilted to the right. Bearing in mind that a single bevel is only a slight inconvenience as by flipping over the workpiece will give you the same result as tilting the blade in the opposite direction. If you are building a box with miter joints, (two angled cuts that when placed together form a 90° angle), You would make your first cut with your blade tilted at 45° to the left. On a double bevel you would tilt your blade to the right at 45° to cut the other end of your plank, but on a single bevel simply flipping your workpiece upside down and back to front would produce the same result. What is a sliding function? 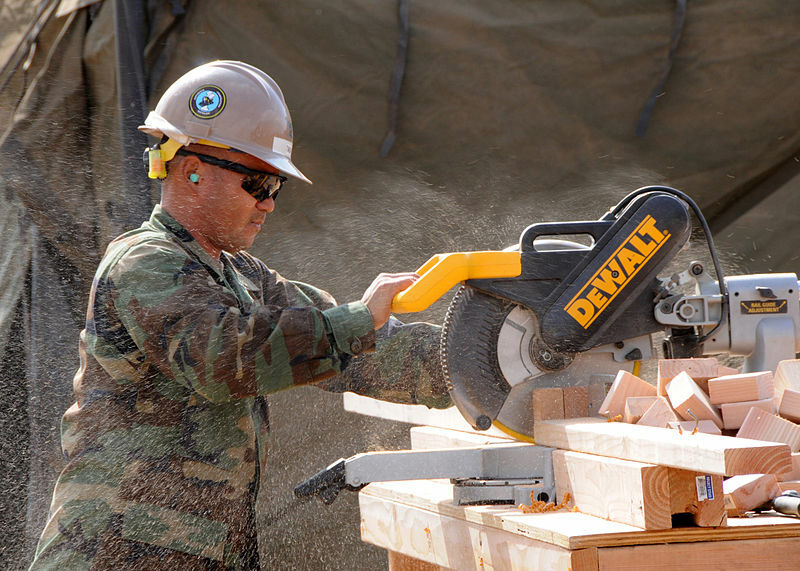 When a compound miter saw has a sliding function the saw blade can slide forward and backward. Allowing longer crosscuts. So allowing for a wider workpiece. The saw would be activated, pulled toward the operator using the slide function, pushed down on the spring-loaded mechanism and finally pushed forward, cutting effortlessly through the wood. It is important to note when buying a sliding compound miter saw, that not all the saws have the same distance on the slide. Where a 10” miter saw without a sliding function can only cut a 5.5” wide plank given it’s not thicker than 2”, one with a sliding function can cut much wider, limited only by the length of the slide. 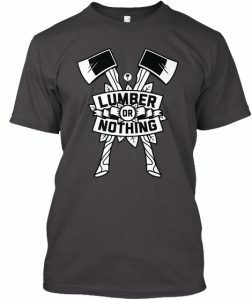 Do I need a miter saw? My 10” miter saw is one of my most used power tools in my home workshop, second only to my cordless drills and drivers. 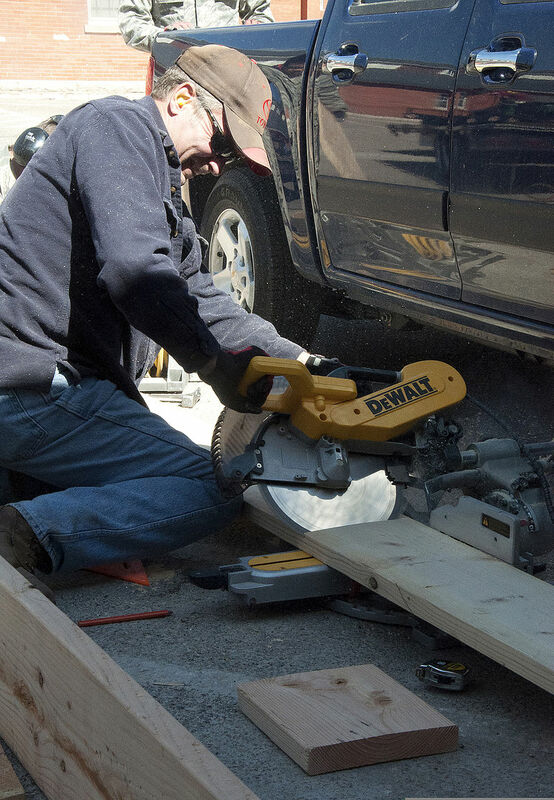 Most projects start by cutting your planks to size and this is where your miter saw will do most of its work. Miter saws are also used for framing and trim. For DIY purposes there is no need for full scale 12 inch saw. A 7-10 inch will do just fine. A good quality 10” sliding single bevel compound miter saw is the ideal saw for a DIY enthusiast. It is easy to operate and it will tackle most projects head on and give you the accurate result you desire. NOTE: Miter saws can be dangerous if not used correctly and when operating it is important to always follow the safety measures as instructed by the user manual. Hi Jean, I’m Harley from Florida in the U.S. I found your videos on youtube because I’m thinking of building your ultimate work bench, and I enjoy your style and presentation man. I got a lot of good tips watching your Vids. so I subscribed and I’m looking for more for your videos so please keep up the good work! P.S I knew that you were a South African the minute you spoke, I’ve met many SA’s in my business. Don’t listen to those that think you talk to much, I found you to be precise to the point and easy to understand. Some of us newbys need the explanation. Ek het jou op YouTube raak geloop.  Nice content veral rakende you workbench! Well done! Gehoop jy kan my dalk druk in die regte rigting. Enige kans dat ons dalk kan chat? Whatsapp? Ek help graag waar ek kan.